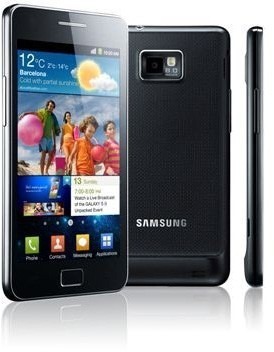 When Samsung officially unveiled the US variants of the Galaxy S II, the spec sheet for T-Mobile's variant was oddly absent from the show. After that, we started hearing that it would not be sporting the same Exynos processor of its AT&T and Sprint siblings, but rather a chip from a "different manufacturer," with no word as to who that manufacturer could be. Today, though, one Twitter-er had enough with the guesswork and decided to get an answer directly from the source: @GalaxySsupport, the official support account for all US Galaxy S devices. The first response was a bit lackluster however, only stating only that it "has a dual core processor." Naturally, this answer was just not good enough, so the question was asked again, this time with more detail. The response? 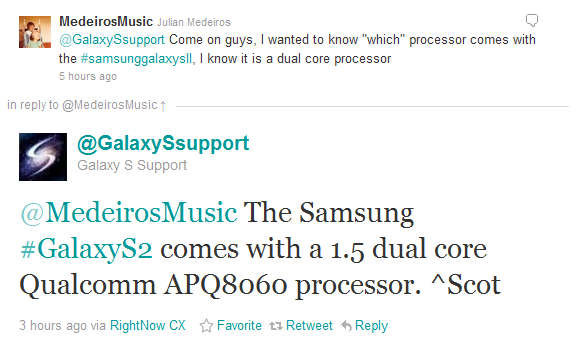 And there you have it -- it may be not be an Exynos, but a 1.5GHz dual-core Snapdragon is definitely nothing to scoff at. In fact, I'm quite curious to see how it stacks up against Samsung's chipset it a fight to the death. Of course, an official word on why T-Mo decided to toss a completely different chip in their version has yet to be seen, so I guess we'll have to save that story for another day.